Hello crafty friends! 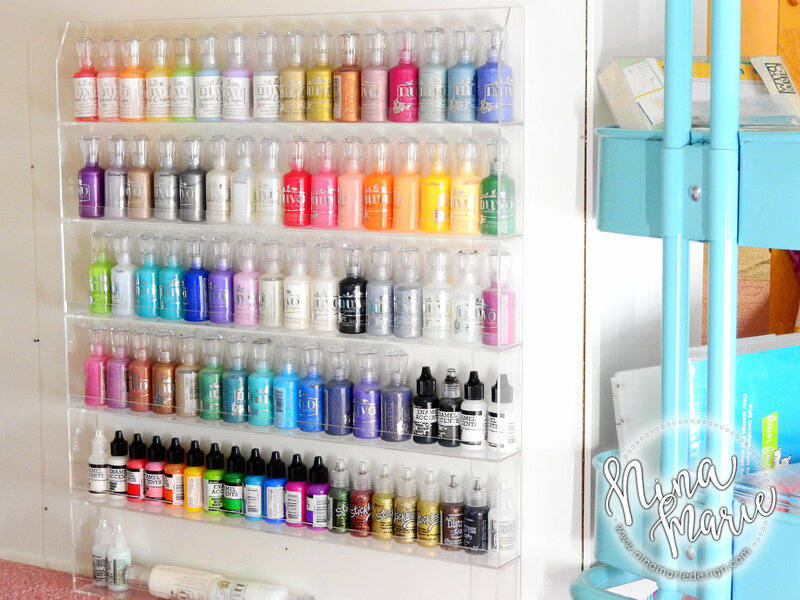 Welcome to the first video in my Craft Room Organization Quick Tips video series! This series is meant as not only a peek into my studio space, but also as a guide to help you organize your craft room. Maybe you’ll find that the ideas I share work perfectly in your space, or perhaps it sparks an idea of your own! Either way, I hope that after watching each episode as they are released on my blog and YouTube channel, that you can take away some things that help you stay organized and create more effectively! 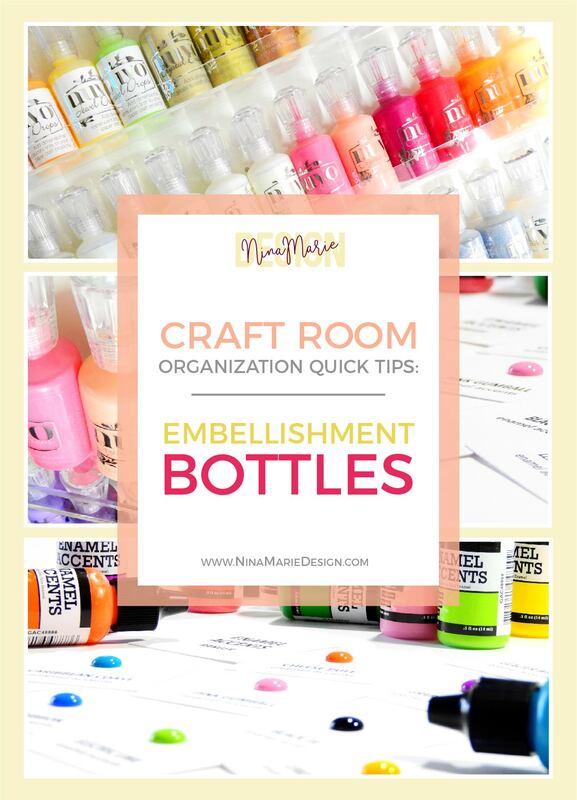 In this first episode, I will be sharing how I store embellishment bottles, such as Nuvo Drops from Tonic Studios and Enamel Accents from Ranger. Since some of you may be new to either the Nuvo Drops from Tonic Studios or the Enamel Accents from Ranger, I have some information here for you to quickly cover the basics of these products. 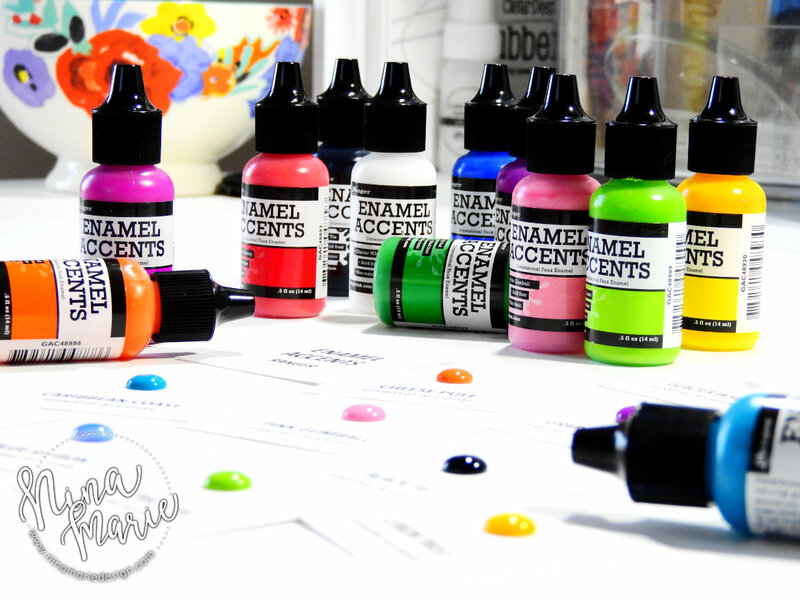 All of these are very popular for creating faux enamel dots with a lot of dimension. What I love about embellishment bottles like these (instead of purchasing enamel dot stickers), is that you can make these in any size you’d like. They also come in a variety of styles and colors, which makes matching them with your projects even easier! 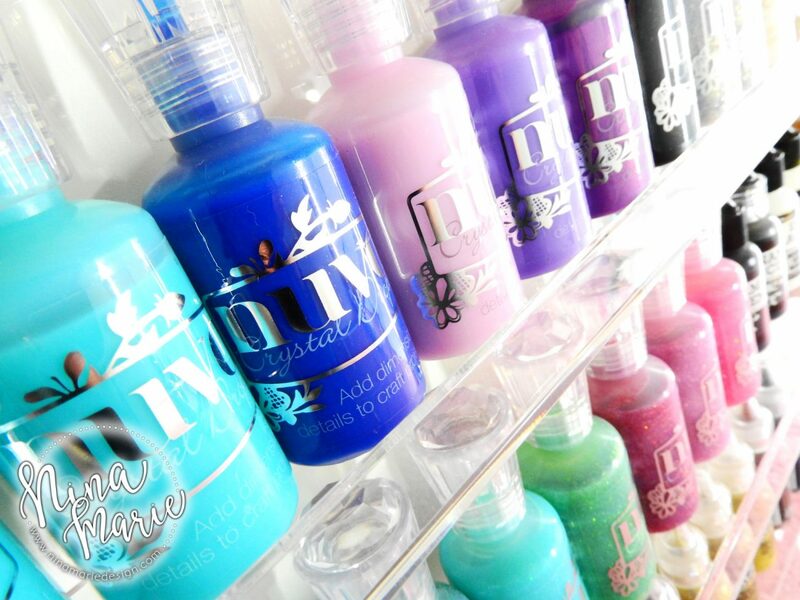 Nuvo Drops are available in four different styles, including Jewel, Crystal, Crystal Gloss and Glitter; each of these have different physical properties, but all have the same three-dimensional quality. Purchased individually. Select colors are available in extra large bottles. Jewel Drops create a translucent, tinted drop. Crystal Drops have a pearlescent finish. Crystal Drops Gloss dry with a glossy finish, similar to the Enamel Accents from Ranger. Glitter Drops are have a glitter-glue-like appearance, but again have the same three dimensional qualities as the other Nuvo Drops, which I think makes them better than glitter glue! Depending upon how they are applied, Nuvo Drops will dry a bit more dimensional than store bought enamel dots. This will add a little more bulk to a card, but nothing that will impact mailing. 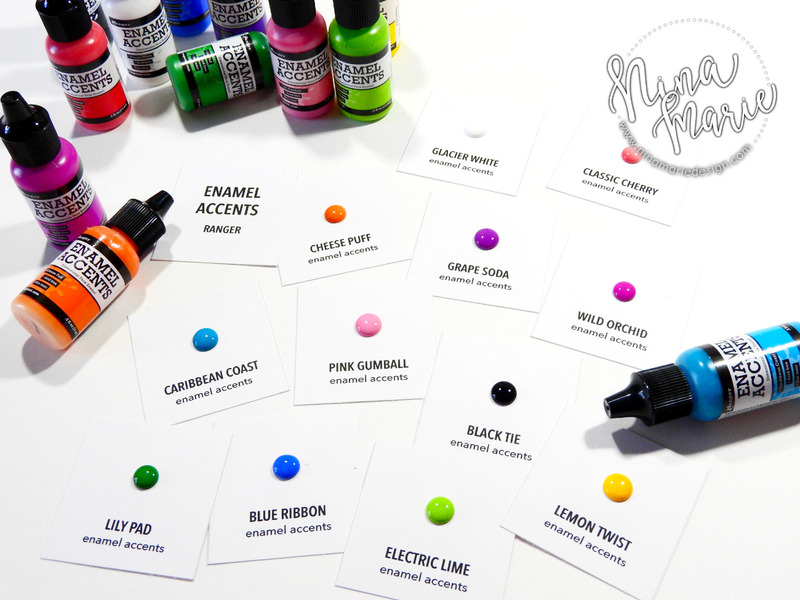 I have had certain colors of the Nuvo Drops reactivate when applied over top of a water-based medium or ink, such as Distress Inks and watercolors. If you are going to apply these Drops onto a water-based medium, I recommend testing it first before applying it directly onto your project. Enamel Accents are available 12 different colors, including black and white. Can be purchased individually, or in a set. All Enamel Accents are high gloss, completely opaque and non toxic. Slightly less dimensional than the Nuvo Drops collection, but the difference is very small. I find I get best results of the Enamel Accents by shaking before use to help evenly distribute the enamel. Do not reactivate when in contact with water-based inks and mediums. 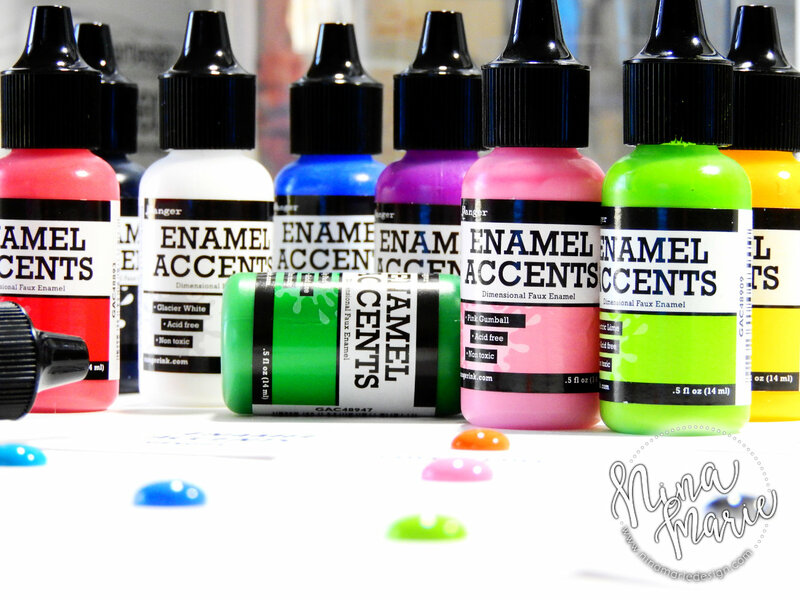 In the video I’ve got a few options for you in storing these Nuvo Drops and Enamel Accents. For those of you that have a smaller collection, I recommend using a storage bin such as the InterDesign Bins. THIS particular bin I show in the video was what I originally used to store both my Enamel Accents and Nuvo Drops before I expanded my collections of both product lines. This storage container allowed me to fit up to 32 Drops/Enamel Accent bottles inside. If you have a slightly larger collection, I like the functionality of the Home-it 5 Step Counter Display. This unit is tiered, so everything displays nicely and you can easily find what you are looking for. An extra bonus is that it doubles as a beautiful display of color in your studio! To give you a good idea of the scale of this unit, you can fit 65 of the Drops bottles into this unit (13 on each tier). Finally for larger collections, I LOVE the Home-it Nail Polish Rack Organizer; this is where I store all my Nuvo Drops, Enamel Accents and Stickles. I have 87 bottles on this unit, with a bit more room on the bottom shelf to add additional bottles in the future. There are six shelves on the rack and in one rack I can fit 13 Drops bottles (or 20 Enamel Accent bottles). This unit is meant to be hung on the wall, but I find it works just as well on the floor, tucked against the wall of my counter-height worktable. I have a small studio, so I sometimes needs to be creative with my storage units. Having this unit under my workable makes it always within easy reach. So now that we’ve taken a look at units for storing these bottles, I want to share how I swatch them. Having swatches is invaluable to me as I am creating. 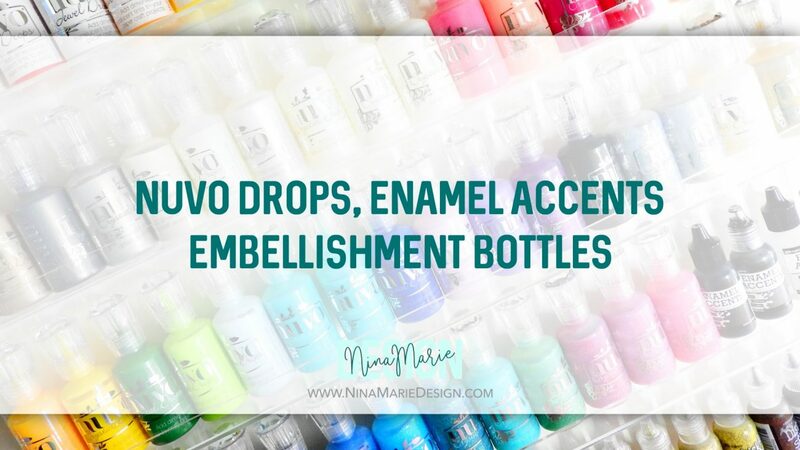 In the video, I will give you a close up look at the swatches I designed for my Nuvo Drops and Enamel Drops. This is the method I have been using for a while now and I found it is what works best for me and my creative process. I actually use this same method to organize my ink colors; I’ll be sharing my ink storage methods later on in the series. Check out the video below to see everything I’ve covered so far up close and in action! I’ll also be sharing additional details about these topics in the video. I hope that the Craft Room Organization Quick Tips series have and will continue to prove helpful to you! 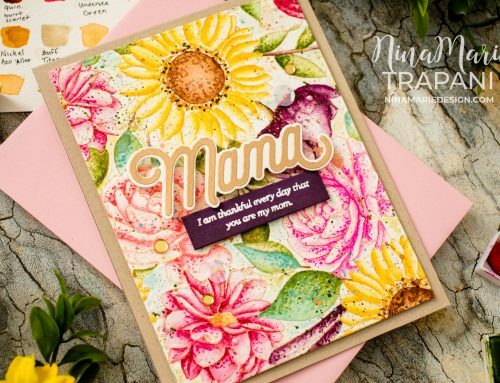 Perhaps some of the tips I have shared today will work in your craft space and get your supplies ready for lots of fun crafting! 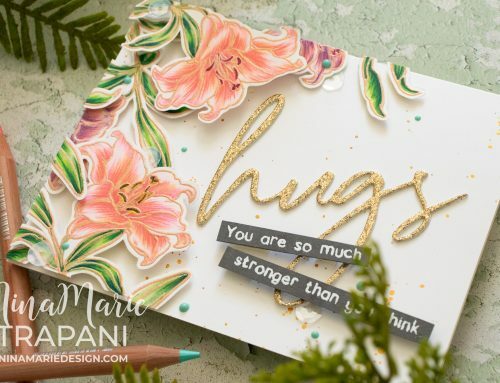 Thanks for visiting me today and I will see you again tomorrow for a new video tutorial featuring Honey Bee Stamps! Click here to see the Nuvo Drops video mentioned in this video. Feel free to share this post on social media using this image! 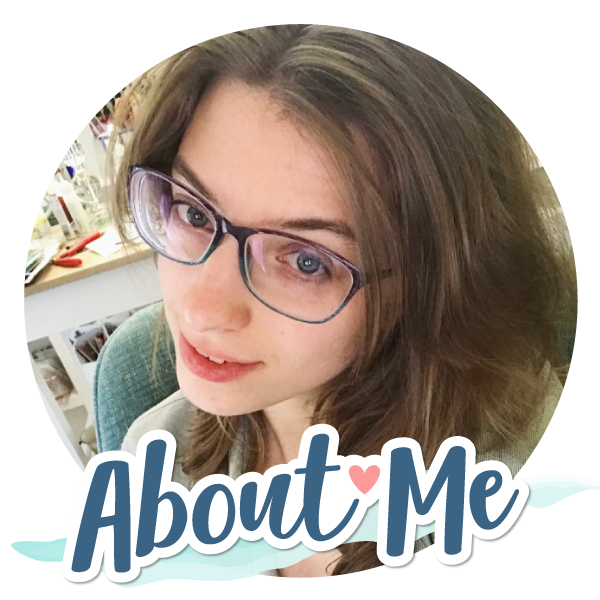 If you are interested in any of the products used in this post, I have them all linked below to Simon Says Stamp and Amazon. Affiliate links used when possible. Thank you so much for the video on storage. It’s so generous of you to share your organisational swatches as a download. I’m just starting out with Nuvo and I really like the coin folder storage option. So glad to hear it was helpful Dianne!!! I am finding with some colours no matter what I do I get a peak. Very frustrating. Awesome Video Nina! Very helpful! I too have a smaller space and seem to be acquiring more stuff so I needed some quick tips fast! Thank you! Have been looking for something like this–are you going to update with the newest colors?? I hope so! Hi Candy! So happy it was helpful! Yes!!! I will be updating with the new Drop colors very soon!! I love these videos. Very complete! 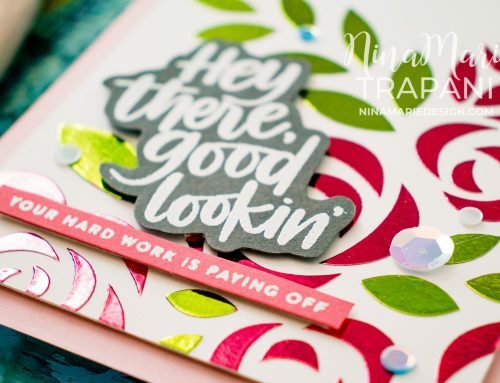 Everything you need to know… except…I bought all of the translucent jewel drops cause I loved them in this video, even used your download to swatch, but even on the swatches all of the drops were cracked when dry. I let temp dry on their own, not heat tool etc. It is pretty ,but you don’t always want that… any tips or tricks to prevent this??? Thank you so much. I love this and will be using 2 in my new craft space. Better then a drawer for me. Some very helpful tips Nina. TFS!